Quick question. I’ve noticed that when I fetch balances from the API, my reported balances can vary and seem to be reported inaccurately at times. Is this a common issue? Is there maybe a delay in updating balances after trades? If you use https://nodes.wavesnodes.com, it is a cluster of nodes actually with cache and stuff. So you responses can vary because of a lag in node synchronizations. And a second part is you cannot always safely rely on real time data, it is subject of mini forks. If you need a stability in the balance information it is better to use confirmations > 0. I think to have the same issue on my nodes since yesterday. If I collect the waves balance via api from my two nodes (0.16.2 release) I receive wrong values respect the nodes.wavesnodes.com. Businesses to operate effectively require finality in transactions. No one wants to deal with forks that present a probability that a certain transaction will disappear from a different version of the blockchain sometime in the future. How is finality achieve on Waves? How long do businesses have to wait to be 100% sure that the transaction is confirmed? What mechanisms does the Waves use? If you use https://nodes.wavesnodes.com , it is a cluster of nodes actually with cache and stuff. I am using real-time data. I saw 1. 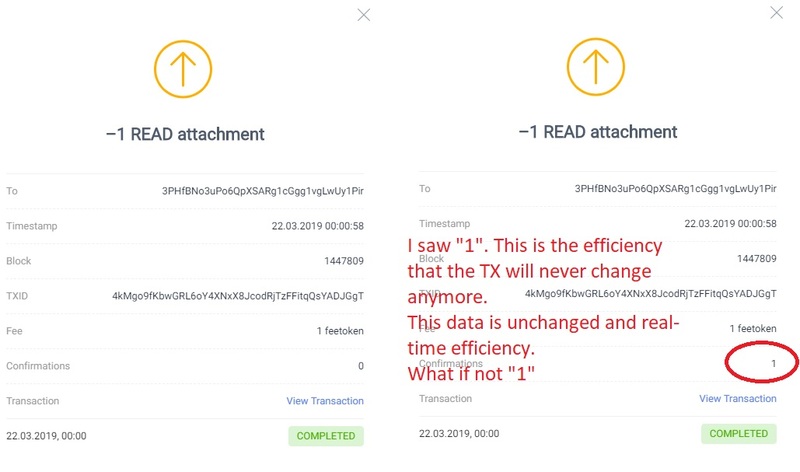 This is the efficiency that the TX will never change anymore. This data is unchanged and real-time efficiency. Inal Kardanoff replied to my question that reorgs are possible 100 blocks deep. You are saying 1 block is final. AFAIK this is only possible in Byzantine Fault Tolerant blockchains, which Waves is not. Why is it only 100 blocks? Do you use check points? 100 blocks, almost 2 hours. A new world is set up in 2 hours.